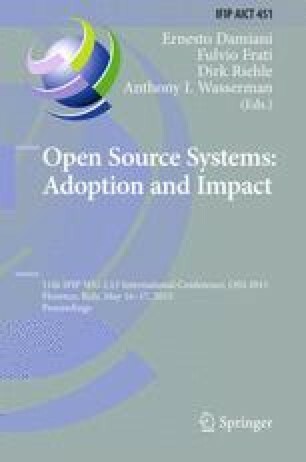 This paper describes problems that arose with the scaling and internationalization of the open source project Catrobat. The problems we faced were the lack of a centralized user management, insufficient scaling of our communication channels, and the necessity to adapt agile development techniques to remote collaboration. To solve the problems we decided to use a mix of open source tools (Git, IRC, LDAP) and commercial solutions (Jira, Confluence, GitHub) because we believe that this mix best fits our needs. Other projects can benefit from the lessons we learned during the reorganization of our knowledge base and communication tools, as infrastructure changes can be very labor-intensive and time-consuming.